Many of us grieve whenever we hear of another schism among traditional Orthodox. A key cause of these schisms is exaggerated accusations. It is simply not fair or accurate to call the synod of Archbishop Stephanos “iconoclastic,” just because you have some disagreements over Latin-style icons and some other issues related to icons. Most objective observers believe that the five metropolitans who initiated a schism, with accusations of “iconoclasm” against the main Matthewite synod, were not telling the full truth. Metropolitan Chrysostomos of Thebes derives from that schism from the synod. The main Matthewite synod under Archbishops Andreas, Nikolaos, and Stephanos was never “iconoclastic.” Rather, there were some disagreements and misunderstandings about icons between the two sides. The Christian thing to do would be to avoid exaggerated accusations and to look at the icon issues theologically and calmly. As a good Matthewite, you know that numbers do not matter. You would never say that the Florinites were the main GOC synod because they had more followers than the Matthewites (which the Florinites always have). So your claim that Metropolitan Chrysostomos of Thebes has more followers is not relevant, even if it is true (which I doubt). Lastly, if I understand things correctly, it is your side that opposes some traditional icons, such as those of the Nativity of Christ that show a midwife and a bath. As Christians we should be able to discuss our differences calmly without exaggerated accusations of being “iconoclastic.” Many of us would like to read a serious explanation in English of what the synod of Metropolitan Chrysostomos of Thebes actually believes about these issues—not a false claim about others being iconoclastic. People want to hear a calm explanation of what you yourselves believe, not what you claim others believe. For example, do you accept traditional Orthodox icons that show a midwife-with-bath, the Old Testament Trinity, and the Descent into and Resurrection from Hades? Do you agree with Metropolitan Chrysostomos of Thessalonica when he says that the Church of Christ is also the Church of God? Dear in Christ! Jesus Christ is the Truth and our Holy Synod tells the Truth! There is not “exaggerated accusation” but- unfortunately- just the truth of history! Our teaching for the Holy Icons is pure and honest but not yours… Our Holy Synod of Hierarch, when it was united under the Presidancy of former Archbishop Andrew, issued two Encyclicals about the Holy Icons.. You don’t know dear that our Church does not accept the accusations against the Holy Icon of Saint trinity that is orthodox and not latin? You don’t know that we do not accept the heletical and unrecognized painting of the ” the midwife-with-bath” that comes from falsified gospels. You don’t read the 1st Encyclical of tjhe united Hierarchy what declares officialy to the flock of the Church. Please read herehttp://www.orthodox-christianity.net/concerning_icons.html. I doubt that you don’t all these but I understand that you do not belong to (our) Church so you may do not read these truths…. And now I ask you my dear? Where is your new Encyclical with your new faith about the icons??? Why you ask me like an investigator (!!) “what do you believe?” while you do not not what you believe!!! We have not opposies on any icons but we do not accept that you destroy the holy icons that you declare (unofficially and timidly) as heretics!! That was happened in example in the Monastery of Keratea where your heretic nuns disappear the holy icon of saint Trinity just after the occupation of the monastery by the help of gangsters!! So repent dear former brothers in Christ for your blaspfemies and the persecutions of the orthodox and come to make an official diologue as Metropolitan of Thebes Chrysostom and our Holy Synod try to do while your wolf-“archbishop” do not want! Because you “grieve” hypocritically for the schisms of the old-calendarists but you try to keep the division and to create more (see above the article…) just to exploit economically the estate of the Church that was create by the bllod and the hydrate of our orthodox believers!! “As a good Mathewite”… I do not worry for the underwater crowd of schismatics and heretics (even your followers in Greece that are less that 1.300 persons) but I pray and belive to come back to the Genuine Orthodox Church of Christ by the common orthodox belief that we have before the schism in 1995 and please read the Encyclical to see who declares now different teachings…. I have some doubts on Latin style icons. Doesn’t it reflect in a sense Latin infiltration? Dear in Christ for the latin icons please adress to the Vatican of the papists! The orthodox church had never “latin” icons… If you study, you will see ascertain that the holy icon of holy Trinity is not latin as it exists before the papal schism! Do you mean the “New testament trinity”? Where is my answer to the “Diakrisis Dogmaton”??? It is a shame that you delete my answer! I answer again and in case that you will delete it again, I will publish it in our site churchgoc.blogspot.com. There are not “disageements over latin icons” (!!!) but iconclasm against some holy icons even to the russian (classic ) style of holy icons! The 7th Ecumenical Synod anathematizes those who declare “that the Church had never accept idols” so you are under the anathema of the holy father for your blasphemies against the holy icons. I can see you at least two official Encyclicals of the Holy Synod that declare the holy (New Tastement) icon of Saint Trinity as orthodox!! Where are your desicions against this icon?? Why you worship a “heretic” icon?? You are cowards to declare officialy and synodical what you believe about the holy icons as the old heretic who fought against the Church. As “a good Matthewite” I do not care for the “underwater crowd” of the heretics and schismatics (even for the less than 1.250 followers of the Tsakiroglou’s justriction in Greece) but I pray in deep soroow for them to be united to the Church of Christ! You do not “understand the things well”… We accept ALL the holy icons as you can read in the OFFICIAL ENCYCLICAL of the HOLY SYNOD!!! I do not why you ask us like an investigator while we have honest, official, synodical declaretions for the holy icons!! I am waiting for your new desicions for the holy icons and when you changed your faith!!! Last, I have not to answer to your hypocritical question for the former Metropolitan of Thessalonica Mr Chrysostom. In fact, you know that he out the eeclesiastical communion because of his heresies untill he repent… But you chose the path hypocrisi (as Mr Katsouras and other of your followers) and to muddy the water to hide your crimies against the union of the Orthodox Church for more that two decades! With love in Christ and with sorrow but in Truth! G.O.C. It is not “heretical” for the God-Man to have a bath after His birth from the all-pure Ever-Virgin. It was a custom of that historical time. The bath is in hundreds of traditional Orthodox icons. It is unfair to call these icons “heretical.” There are many traditions that have been accepted in the Church that are also in heretical “gospels.” Just because heretical texts refer to these traditions, does not mean the Orthodox also cannot refer to them. The Matthewite draft encyclical of January 23, 1992, goes against Holy Tradition, when it says, “The icon of the Nativity of our Lord Jesus Christ we urge pious iconographers henceforth to paint without the depiction of the bath and midwives so as to give no cause for doubt regarding the painless childbearing by the Theotokos.” It does not call the icon heretical, but admits that the innovation it favors is a counter-response to modern doubts. It admits that the icon is traditional. Calling it “heretical” is even more of an innovation. That is not an Orthodox approach. The Matthewite draft encyclical of January 23, 1992, goes against Holy Tradition in other ways. It orders: “we decree that this icon [Christ’s Resurrection from Hades with Adam and Eve] be placed on stands for veneration in the Holy Temples on the day of Great Saturday only and on no other days. We must also make it clear that because of the disagreements that have come about on this matter, henceforth the title ‘The Resurrection’ is not to be placed on this icon but only the title ‘The Descent into Hades. '” That is not Orthodoxy. Rather it is changing Orthodoxy because of the passionate pressure from modern people who want to alter tradition. Those who oppose painting icons of God the Father point out that: (1) icons of the Father are forbidden by Orthodox councils, (2) these icons are of Latin origin, (3) that Christ is the consubstantial icon of God the Father, and (3) he who has seen Christ has seen the Father. None of this is Arian, or Nestorian, or separates the Son from the Father. These Orthodox teachings (of those who oppose painting icons of God the Father) affirm the deity of the Son and the unity of the Father and Son. Most of those who oppose icons that show God the Father will not refuse to venerate them when they are in churches, so as not to cause confusion in the Church. These icons also usually have an image of Christ, which should be venerated. No True Orthodox Christians are destroying these icons (iconoclasm means destroying icons) and very few Orthodox refuse to venerate them. Charges of modern “iconoclasm” among True Orthodox Christians are slander. Ironically, those who have made the accusations of iconoclasm vociferously, for example the Matthewite synod of Metropolitan Chrysostomos (Tzanes) of Thebes, have been perceived by others as possibly separating the two natures of Christ. I am reluctant to accept that they do this. I would hope and expect that they would agree that not only is Christ’s divine nature eternal but his hypostasis is eternal and that Christ’s eternal divine hypostasis became a divine-human hypostasis in the incarnation. I would hope and expect that they would agree that not only is the Church the Body of Christ, but it is also the Church of God, which also includes the angels. 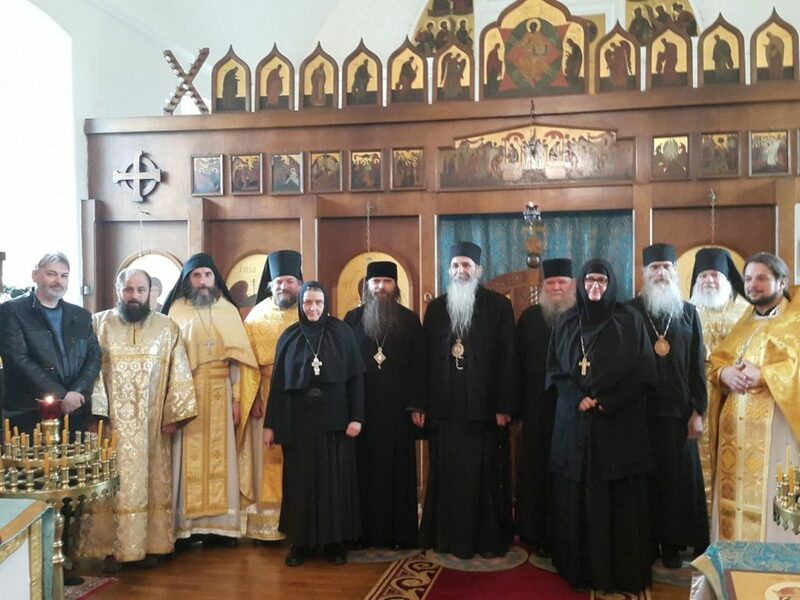 Thus the Church is not just human, but also angelic, and it is the “Church of God.” But the defenders of Metropolitan Chrysostomos (Metropoulos) of Thessalonica (a Matthewite solo-bishop) perceive the attacks against him (from the Thebes synod) as denying these truths. Unfortunately, some intra-Matthewite disputes show a passionate tendency to anathematize and even to declare as “antichrist” those of whom the condemner only has partial knowledge (of their teachings) and partial knowledge of the patristic teachings related to the matter. These mutual accusations (at least some of which are clearly slanderous) are issued very quickly, are stuck-to stubbornly, even when shown to be wrong. This un-Christian behavior has fragmented the Matthewites into four (now, seemingly, five) groups. This behavior has damaged the witness of the Matthewites to a significant degree. 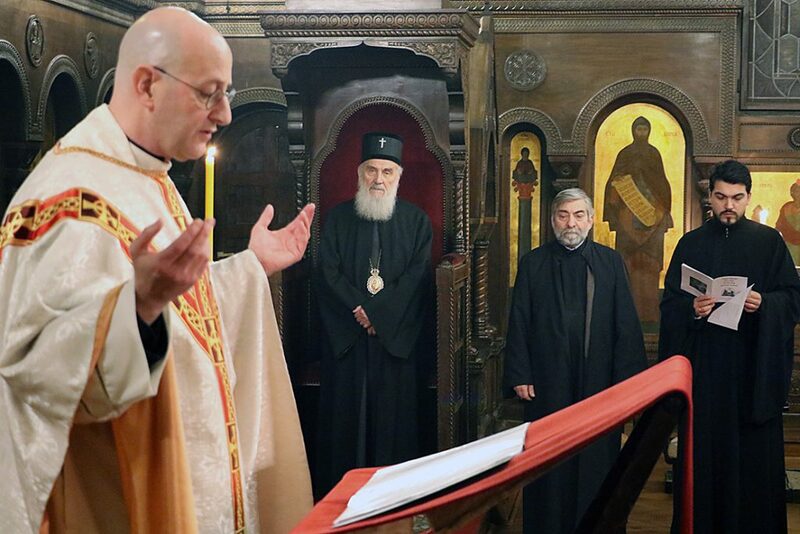 Archbishop Stephanos of Athens appears to be the most correct and discerning among the leaders of the five groups. Archbishop Stephanos of Athens has a degree of continuity from the original Matthewite synod that the other four (schismatic) groups do not have. For the record, I believe that Archbishop Makarios (Kavakides) is the canonical Orthodox First-Hierarch of Athens and all Greece and the successor to the Holy Metropolitan Chrysostomos (Kavourides) of Florina and Archbishop Auxentios (Patras) of Athens and all Greece, both of Blessed Memory. The accusation from some Mathewites that some people are “opposing saints” when they criticize Augustine of Hippo, can also veer off into slander. The statements of Augustine of Hippo on double predestination where rejected (even condemned), by Saint John Cassian, Saint Vincent of Lerins, and councils in the West, usually without naming Augustine. Even the Latin church does not fully accept his teachings because they were so extreme. All scholars agree that his thought patterns and writings were strongly influenced by Platonism and by Manichaeism. He had been a member of the Manichaean sect and a believer in Manichaean doctrines. The alleged reference to him by the Fifth Ecumenical Council is contained in the Latin translation of the acts (proceedings) of the council. It is not in the decree of the council or even in the Greek text of the proceedings. Is this text even genuine? It certainly has not been preserved and received in the Eastern Orthodox Church, but only in the Roman Catholic Church. It does not represent the mind and conscience of the Church. The alleged text also includes a reference to Theophilus who condemned Saint John Chrysostom. Saint Cyril of Alexandria reversed this error of Theophilus. The Church has accepted some of Theophilus’s canons, but she absolutely does not follow him in all things. Neither should we follow Augustine in all things. Many of the errors of Roman Catholicism and Protestantism have their origins in his writings and in the mistaken attitude of considering him a reliable teacher of the faith. The ancient Orthodox Church of the West did perceive his errors, and condemned at least some of them, but exaggerated pro-Augustinianism took over the Latin church and led directly to the schism. Even in the West, veneration took a long time to develop and did not develop in the East. His “authority” was pushed extremely hard by the Franks who hated the Eastern church. Saint Photius believed that Augustine’s writings were interpolated with errors. But very little of Augustine’s writings were translated into Greek—and the ones that had some of the worst errors were not available in Greek. And Saint Photius could not read Augustine’s massive body of writings in Latin. There is no evidence to support Saint Photius’s speculation about interpolations. But his attempt to defend Augustine (through the theory of interpolation) does show that there are errors in those writings. Augustine’e body of writings are so massive that they have not really been evaluated by Eastern Orthodox until modern times. (Even very learned Russian scholars in modern times did not have access to all of his writings.) Scholars have even published previously-lost works of Augustine in recent decades. It would not surprise me if Father Michael Azkoul was the first Eastern Orthodox person in history to read a majority of Augustine’s works. Father Michael sometimes writes in a one-sided manner, but the evidence he provides needs to be taken seriously. In the Slavic Orthodox churches, Augustine of Hippo is not usually referred to as “saint” (svjatyj) but as “blessed” (blazheni). That is the form of address that is given to Theodoret of Cyrrhus, whose writings against Saint Cyril of Alexandria were condemned by the Fifth Ecumenical Council—an actual decision of the council, not some alleged statement within the proceedings of the council that the Church never accepted. Augustine is in some calendars, but this is very recent. It is not ancient Orthodox tradition to consider him a Universal Teacher of the Church, and those who point this out are correct. No True Orthodox Christian is “fighting against saints” in the discussions about what every Orthodox acknowledges were Augustine’s serious mistakes. Unfortunately, some uninformed Matthewite zealots make false accusations against True Orthodox Christians and then people in ecumenist churches think they have an excuse to dismiss all traditional Orthodox (“zealots”) as uninformed extremists. But on all these issues, the body of facts actually supports the True Orthodox position, not the ecumenist position, and not the one-sided views of some Matthewite extremists. I would have preferred to avoid criticizing people from the Matthewite succession, but Matthew’s error of separating from his holy synod has been compounded many times over by the sectarian behavior of the five Matthewite groups today. The claim of two groups that True Orthodox are iconoclast is ridiculous. The exaggerated elevation of Bishop Augustine of Hippo violates the balanced teaching of the Church. 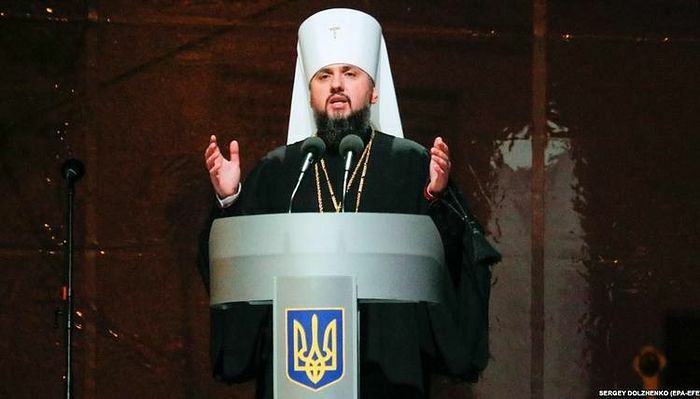 Matthewite attacks against such people as Bishop Nikolaj Velimirovic, Metropolitan Chrysostomos of Florina, Saint Philaret of New York, Archbishop Auxentios, and others are not the position of the True Orthodox Church. Those in ecumenist churches are using these false Matthewite attacks as excuses to reject True Orthodoxy and they are using them to justify remaining with ecumenist bishops. Is the Matthewite encyclical accepted by all Matthewite churches? No, the encyclical is not accepted by all Matthewites. There is doubt about whether and how it was even issued. Five metropolitans seemed to have threatened to go into schism if the draft encyclical was not issued immediately in 1992. It was a rough draft, with many errors, theologically and in citations. The five metropolitans did go into schism from the synod, but three died, and the remaining two schismatic bishops excommunicated one another over a Christological dispute. One bishop performed a single-bishop consecration of a bishop, and thus we have the uncanonical Thebes synod today. 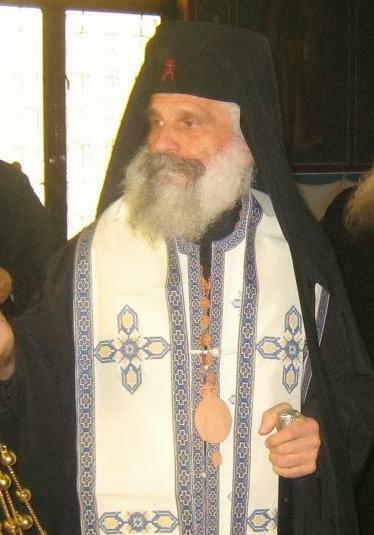 Metropolitan Chrysostomos (Tzanes) of Thebes and Metropolian Chrysostomos (Metropoulos) of Thessalonica are bitter rivals now. They both attack each other and they call other Matthewites “iconoclasts.” They exaggerate and distort issues (as the above poster from the Thebes group does) and they make the schisms more bitter. A calm, theological approach is sorely needed. Five Matthewite synods and bitter, exaggerated polemics—a very tragic situation! Even within synods there are harsh polemics about fasting and the frequency of communion. I wish they would focus on the patristic sources and tone down the personal attacks. Many Matthewites over the last 90 years have joined the Florinites (good), but some go to the new calendar (bad), or fall away even more so from Christianity (very sad). I grieve for the good Matthewite people. Their children are falling away, partly because of the bitter fighting, and partly because of the allure of the fallen culture around us. The Matthewites’ zeal has been misdirected towards attacks and away from transmitting the Orthodox faith to their children and grandchildren. The Matthewite archbishop, Stephanos of Athens, seems to be a decent man. His recently-departed bishop in America, Metropolitan Anthony (Gavalas), was a very sincere and decent man. Nevertheless, a couple of years ago, Metropolitan Panteleimon of Piraeus left the Matthewites (and their fighting) completely behind and joined Archbishop Makarios of Athens. Dear JusticeForOrthodoxy: I would be careful about both the Matthewites and group under Angelos of Avlona. Let’s focus on the Matthewites now. I do not take an extreme position against any one-bishop consecrations of a bishop by oikonomia when they may be necessary. However, it is a well-known historical fact that some Matthewites were genuinely shocked by Matthew’s consecrations and left Matthew for reasons of conscience, because they felt his consecrations were not justified under the circumstances. One bishop, from among the bishops that were consecrated, the saintly Spyridon, had regrets and ceased to serve as a bishop. One of the persons who left for reasons of conscience was the future Archbishop Auxentios of Blessed Memory. 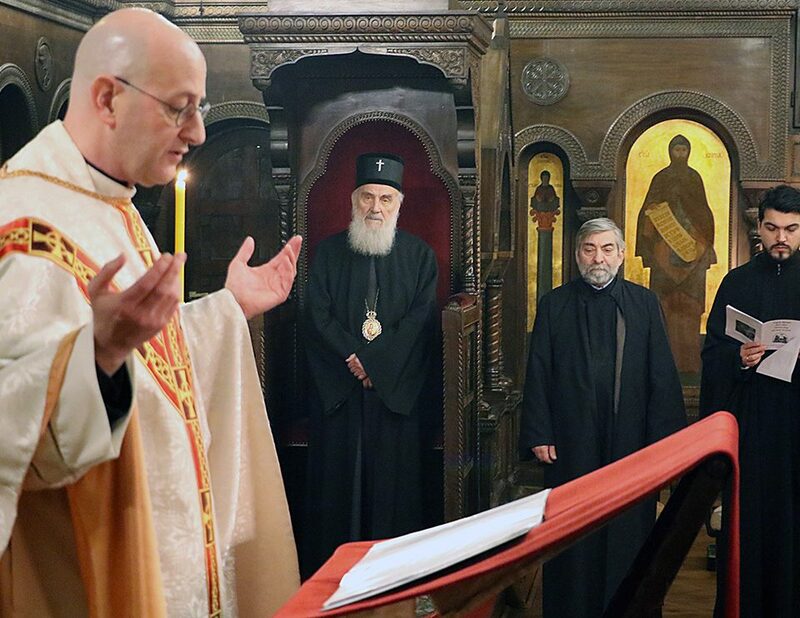 My understanding (although I could be misinformed) is that Archbishop Stephanos of Athens (of the Matthewites) is friends with Archbishop Makarios of Athens and that they consider each other to be Orthodox. If that is true, then there may be hope for unity down the road. The Matthewite approaches, however, especially as they have devolved since 1995, do not represent True Orthodoxy. God can exercise exactness or oikonomia, and His ways are not always known to men. They are revealed, in part, to the Church. Some Matthewites obsess about declaring the “gracelessness” of non-Matthewites, but these are not always the most relevant questions, because the moment that grace is lost is not always known to the Church on earth. The fullness of grace and truth is not found with the pan-heresy of ecumenism, nor is it limited to one miniscule sect of the Matthewites — these are false alternatives. God’s sanctifying grace is found with bishops who preach and practice patristic Orthodoxy in succession to the apostles. 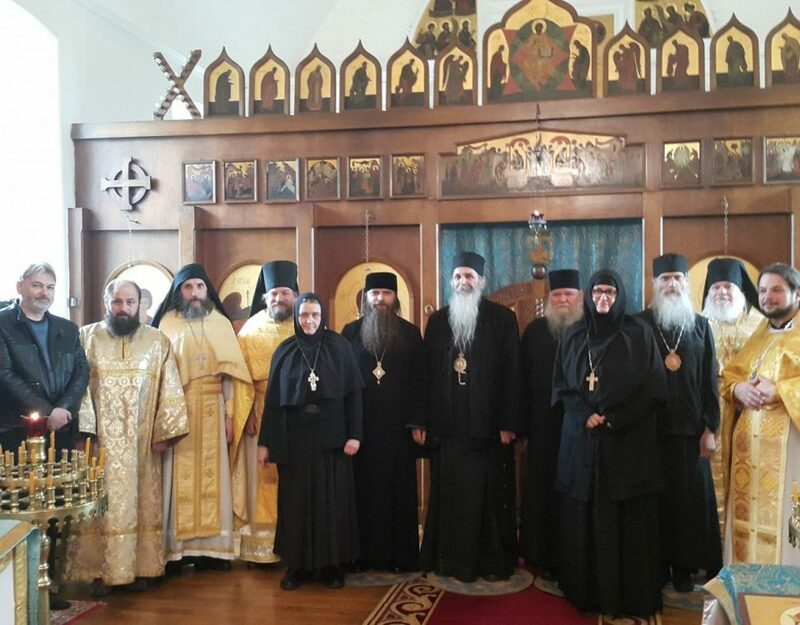 These bishops, often descending from the ROCOR of Saint Philaret and from Archbishop Auxentios, have experienced some interruptions in communion, as did some saints in the past. But these bishops are the ones who preach and practice Orthodoxy today. If you truly believe in one God, one Church, and one baptism, you should place yourself under a genuine bishop who neither compromises with ecumenism (as Metropolitan Angelos does) nor confines God’s grace to one Matthewite splinter. 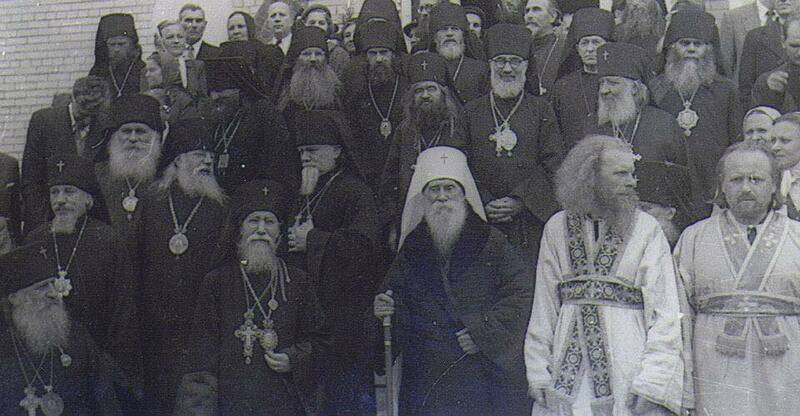 God sent Saint Philaret and Archbishop Auxentios for His purposes. There are bishops and synods that continue their work. Many Matthewites show by their own writings that their position is not fully Orthodox. I remember Stavros Markou, possibly the most important Matthewite writer in English in past years, writing that the point at which grace is lost is up to God and may not conform exactly to the timing of a synodal condemnation. This is correct, but it refutes the whole foundation for the Matthewite schism from the main body of the True Orthodox (who constituted up to 90 percent). Markou tried to avoid this contradiction by claiming that since we don’t know, we must adhere to the canons strictly. But the canons themselves talk about oikonomia and are not based on the assumption that we always can determine when grace is lost. Since we do not always know when grace is lost, different theologoumena (theological opinions) must be tolerated (on timing) as long as people adhere to Orthodoxy and canonicity. It is on this issue that the Matthewite confession of faith is confused, contradictory, and not perfectly Orthodox. Stavros Markou eventually left the Matthewites. There are two key patristic principles on this subject: (1) God withdraws the holy mysteries from those who become heretics or schismatics. (2) God is not obligated to reveal His exact timing to the Church on earth — He can withdraw the holy mysteries before or after a conciliar condemnation. The Milan synod and the Angelos synod do not confess number 1 clearly and sometimes deny this Orthodox teaching. The Matthewites do not clearly confess number 2 clearly and sometimes deny this Orthodox teaching. Both of these denials are clearly errors. If these clergy would simply confess these two obvious Orthodox patristic teachings, there might be a basis for unity in genuine Orthodox teaching. I have read Mathewite postings on the internet extensively. Sadly, their approach to Saint Nicholas [Nikolai Velimirovich] of Zhicha and Ohrid (who supported Saint Chrysostom [Chrysostomos Kavourides] of Florina) mirrors the attacks of Communists and Croatian Ustashas (Roman Catholic Clerico-Fascists) who martyred so many Orthodox Christians. These false and evil accusations are where some extremist forms of Matthewite zealotry (not according to knowledge) can lead. Bishop Nikolai of Zhicha is widely venerated as a saint — as is Metropolitan Chrysostom of Florina — by True Orthodox Christians. Extremist Matthewite legalism could (and has) prevented people from giving these men the veneration that is due to them. Extremist Matthewite legalism also denies the grace of God, which worked through these saintly men. It makes me sad when I see Matthewites who are so zealous to find dirt on Florinites that they repeat Communist and Fascist rubbish against venerable saints of the Church who opposed the new calendar and fought against ecumenist relativism. There are so many 20th century saints (including Saint John the Romanian) who were not under the self-isolated Matthewites. Saint John the Romanian may have refused to concelebrate with any new calendarists, but he was with a hierarchy that had not, at that time, cut off all concelebrations with new calendarists. Same with Saint Philaret. 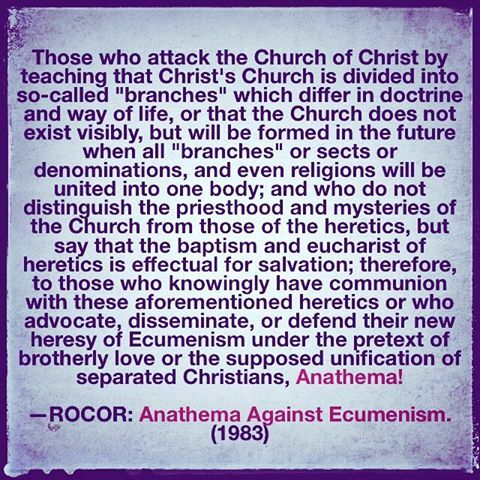 That situation should have changed after the Anathema Against Ecumenism was issued in 1983, when such oikonomia should have been ended. We should all choose the saints who exercised oikonomia for a time above the unpatristic strictness of Matthewite legalism. We need to follow, not our own opinions and loyalties, but the precedents of the Scriptures, Councils, Fathers, Saints, and Liturgical Books. These sources all unanimously teach that a combination of exactness and oikonomia is followed by God and must be followed by the Church. How does a Matthewite approach deal with the issue of the great Saint Issac of Syria? He was in the Assyrian Church in the Persian empire. Its contacts with the Orthodox Byzantine church were minimal and a semi-Nestorian teaching was on its way to taking over that Assyrian church. Yet, we all consider Saint Isaac to have been a grace-bearing saint of the Orthodox Church. Only a patristic ROCOR-Philaretian/Florinite approach can make sense of Saint Isaac’s status. An unpatristic, legalist Matthewite approach cannot come up with any coherent position on this. There are countless examples from Church history where there was a breakage of communion or a “schism,” but saints on both sides. It sometimes takes time for sanctifying grace to depart. Saint Issac is just one of many proofs of that. The examples of many saints refute the legalistic Matthewite approaches. More on the ecumenism of the synod under Angelos of Avlona later. Woe to you scribes and pharisees you hypocrites!!! I answer to the hypocrites who fight against Genuine Orthodox Church! May Holy Trinity God enlight you to repent from your heresies and blasphemies!! Now you accept that you are member of the schismatic justriction of Makarios Kavakidis where are found heretics, schimsatics and deposed clergy by New Calendarism and Od calendarims. Makarios’ “synod” is the home of iconclasm and name-worshipping heresies!!! There is no reason to be sorry for your parable, your blasphemy and lying! Be glad for your heresies and the enchanter Panteleemon Deskas who sells ecclesiastical property to live. Whoever you are out of Church, will you tell us if we accept the Circular of Our Sacred Synod !! You have become a laugh of Satan! God to mercy you!